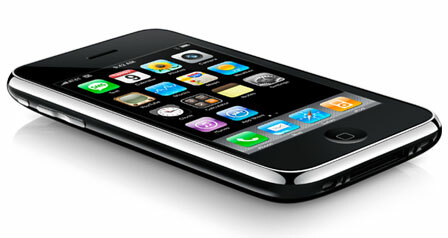 The iPhone 3GS released few days back in the WWDC by Apple, has got many improvements from the previous iPhone 3G. One of my friends had to go with AT&T to finally buy the phone and here are a few features which he, and any user can see different from the previous iPhone 3G. Pricing changed to half of original – The new iPhone 3GS is available for $199 and $299 for 16GB and 32GB respectively, but the previous iPhone 3G which was available for $199 now is available for half the price, i.e. $99 for the 8GB version. Camera comparison – The iPhone 3G had just a 2-megapixel camera with no other features, but the new iPhone 3GS has got 3-megapixel camera, with autofocus, and also the Most wanted Video Recording feature. Speed comparison – The iPhone 3GS is 2.1x faster to launch Messages, 2.4x to load SimCity, online casino 3.6x faster to load an Excel attachment, 2.9x faster to load a large website – Everything when compared to iPhone 3G. Battery comparison – When on 2G, the iPhone 3GS gives higher talktime than the iPhone 3G. Internet usage time and video playback time is more in the new iPhone 3GS than the previous iPhone 3G. External appearance comparison – The older iPhone 3G had only black external surface, but the new iPhone 3GS has 2 colors – White or black, and it also has come with Water & oil resistant finish. There is nothing much changed, as there was a rumor about front camera which did not come out in iPhone 3GS. Connectivity comparison – The wireless technology used by the iPhone 3GS supports 7.2Mbps HSDPA when compared to the 3.6Mbps HSDPA of iPhone 3G. Other features comparison – Data encryption possible with iPhone 3GS, and also there is a Voice control function which were not seen in the iPhone 3G. There is a built-in compass and you can send MMS, and write messages in landscape mode. The new iPhone 3GS also features cut, copy, paste option which was not available in the iPhone 3G.